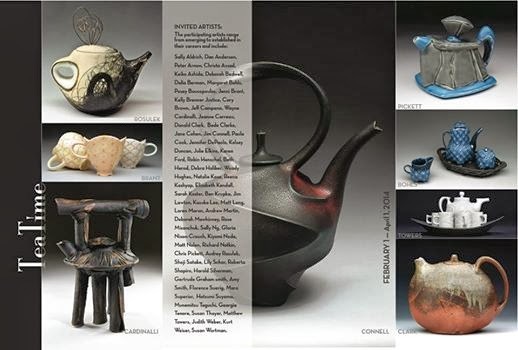 The annual teapot exhibition is happening now at the Clay Art Center in Port Chester, NY. February 1- April 1 2014. Check out their site for upcoming teapot related workshops and events! This exhibition of functional and sculptural teapots explores the history of tea and its relevance in our culture. The exhibition will highlight the teapot, whose form and related ceremonies has inspired artists for centuries and continues to be a valid form of expression in studios of contemporary artists today.